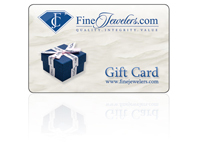 925 Sterling Silver Earrings | Free Shipping | Finejewelers.com, Inc.
Earrings in the News! - Booming voices, big stars and even bigger earrings were all in attendance at the 2014 Tony Awards, which took place in New York City's Radio City Music Hall. Star K™ Pear Shape 9x7mm Simulated Sapphire Drop Earrings Dangling On Huggie Hoop style: 26285 3.82 cts. White Ice™ Sterling Silver Diamond Flower Earrings style: QW176 0.02 cts.